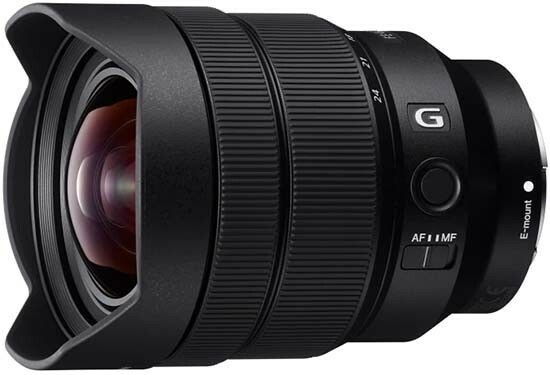 The Sony FE 12-24mm F4 G is a very good, if pricey, ultra-wide-angle zoom lens for Sony A9/A7/A7R II/A7S full-frame cameras. It delivers excellent sharpness in the centre of the frame almost throughout the full aperture and zoom range and also performs very well at the edges of the frame too, although the performance at 24mm isn't as good as the rest of the zoom range. The Sony FE 12-24mm F4 G lens does suffer from some distortion and vignetting, but chromatic aberrations are very well-controlled and it can even create some fairly nice bokeh effects when shooting wide-open at 24mm. The Sony FE 12-24mm F4 G offered pleasingly fast, quiet and reliable auto-focusing on the A7R II that we tested it with, intuitive manual focusing and very good build quality, plus it's usefully weather-tight too. The only real "missing" feature is image stabilisation, which with a slow constant aperture of f/4 would have been welcome, while the fixed lens hood prevents the use of filters. If you don't need to go as wide as 12mm, we'd suggest spending the extra dollars on the outstanding Sony FE 16-35mm F2.8 GM instead, but the Sony FE 12-24mm F4 G is still an excellent lens that can deliver unique images.